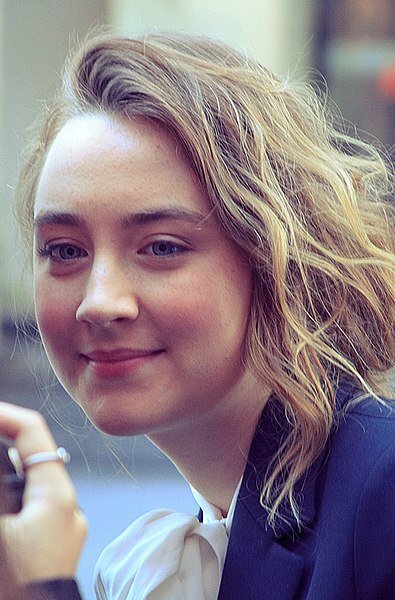 There is a scene in the film Lady Bird where the title character, played by Saoirse Ronan, stands on a sidewalk in Sacramento with her best friend, staring up at a big, beautiful, blue house imagining they lived inside. Her real house is shades of brown—from the carpet and kitchen cupboards to the wooden paneling of the den. It looks familiar—a little drab and well worn. Lady Bird (a name she gives herself which she insists others call her) tells a boy she likes that she lives on the “wrong side of the tracks”—a veiled joke about the family’s social status (precariously holding onto the middle of middle class). In another scene, Lady Bird locks the bathroom door and tells her mom it’s the only place she can be alone. In her senior year at an all-girls Catholic school, Lady Bird dreams of leaving Sacramento, “the Midwest of California,” and attending college in New York City. Langley is my Sacramento. The rural backwater of Vancouver, British Columbia, I couldn’t wait to move away after high school. Lady Bird’s New York was my Ottawa—the other side of the country, far from home. My dad loves to remind me I once described Langley as “the place where romance goes to die.” It held nothing of the arts and culture scene I craved, and for an introverted child who shared a bedroom for eighteen years and preferred being by myself than with my overwhelmingly talkative family, I too cherished the bathroom—the only room that locked. When I moved away for university, I missed home in a way I didn’t think was possible. I missed the weirdest things too—traffic reports about streets I used to drive or my brother’s incessant guitar playing that had annoyed me so much. My mom became someone I actually wanted to confide in now that there was distance between us. That first Christmas home, I crested a hill onto a vista of grazing cows and those ubiquitous white marshmallows concealing bales of hay and was met with an unexpected pang in my gut. I still can’t say that I love Langley or ever will, but insofar as it encompasses home, I suppose I indirectly do. Isn’t home inextricably linked with place? I look back at home as a tangled site of pain and redemption filled with a beautiful mess of people trying to do their best. That’s how the characters in Lady Bird come across too. Refreshingly, the film doesn’t end as soon as Lady Bird arrives in New York. It lingers there long enough for you to see her wander into a cathedral because it’s Sunday and she’s used to going to church on Sundays. She stares at the choir from the balcony with the same look she stared up at the big, beautiful blue house in Sacramento and lets the three-part harmony reach her in a way it couldn’t before. The same can be said about her and her mom. What was interesting about watching the film at this point in my life is that I wasn’t clearly on the daughter’s or mother’s side. It was unsettling. No longer an adolescent needing to boldly assert my identity apart from my family’s and not a mother with a list of legitimate sacrifices to orate, I felt like a pendulum swinging with sympathy between both of them. Charlene Kwiatkowski is a writer and editor living in Vancouver, British Columbia. She loves walking the city, taking way too many photos, and blogging about what she sees and reads at textingthecity.wordpress.com.